In an address to students at Albany State University, Black Enterprise’s Women of Power Legacy Award honoree Susan L. Taylor said, “It’s not your fault, but it is your responsibility.” The former Editor-in-ChiefÂ of Essence magazine explained to the student body that while the social ills and injustices of the world are no fault of our own, weÂ still have a dutyÂ in working to rectify them. As we reviewed the profiles of black women in Corporate America, eight in particular reminded us of that profound light Taylor shed. Each of them have conquered mountainous feats in their industries, making their way to executive level suites. And in all the glory of holding high-ranking positions, theseÂ extraordinary black women in Corporate America still make service to others a priority.Â The following standupÂ executives remind us that there’s always time to give back. 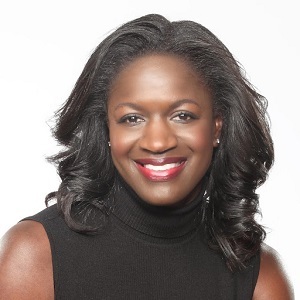 Richelle Parham is the Vice President andÂ Chief Marketing Officer of eBay North America. The marketing genius develops strategies and executes all marketing activities to reach 140+ millionÂ active eBay users. She’s been with the company since 2010, taking on global responsibility for eBay brand strategy and marketing, InternetÂ marketing and CRM. Parham is also an advocate of empowering female leaders through STEM programs, which also includes sitting on the advisory board for Girls Who Code. Richelle Parham graduated from Drexel UniversityÂ as a double major in Business Administration and Design Arts.